One way to help maintain digestive health is to be aware of and take care of our intestinal flora – the trillions of bacteria that make the digestive tract their home. 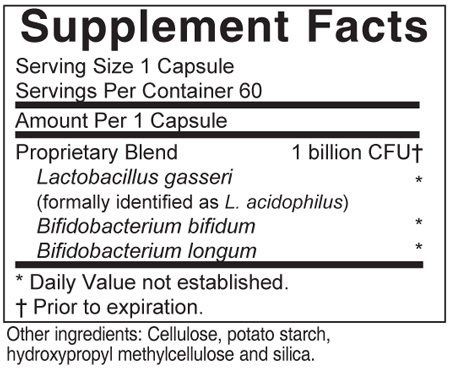 AIM FloraFood® contains a special blend of three powerful friendly bacteria – L. gasseri, B. bifidum and B. longum. Friendly bacteria promote the production of B vitamins, break down and rebuild hormones, protect us from environmental toxins, and help to maintain healthy cholesterol and triglyceride levels. AIM’s special formula requires no refrigeration. Digestive problems comprise the number one health problem in North America. These concerns, encompassing everything result in more time lostâ€”at work, school, and playâ€”than any other health problem. They also appear to be occurring with much more frequencyâ€”while many of them were almost unheard of in our grandparentsâ€™ times, they are cropping up more and more and at an earlier and earlier age. One way to help maintain digestive health is to be aware of and â€œtake care ofâ€ our intestinal floraâ€”the trillions of bacteria that make the digestive tract their home.